San Diego is known for its amazing weather, stunning beaches and millions of tourists visits every year. It’s also known as a highly expensive part of California to live in. So why are millennials flocking to San Diego, despite the high cost of living? Because San Diego has some of the best neighborhoods for 20-somethings that you’ll find anywhere. First off, let’s bust the myth that nowhere in SD is affordable. San Diego is literally overflowing with job opportunities, especially in different areas of the tech industry (think biotech, aerospace engineering, marine tech, cybersecurity and more). In fact, the median household income in San Diego is a whopping $71,481, which is more than $15,000 per year above the national average. Plus, if you find the right neighborhood, you can find amazing apartments at reasonable prices. So, what are the best San Diego neighborhoods for millennials? Keep reading to find out. Located on just north of Balboa Park, North Park is widely known as one of the best places to live in San Diego for hipsters. Just steps from your door in this vibrant district, you can find everything from craft beer breweries to boutique shopping and galleries featuring local artists. 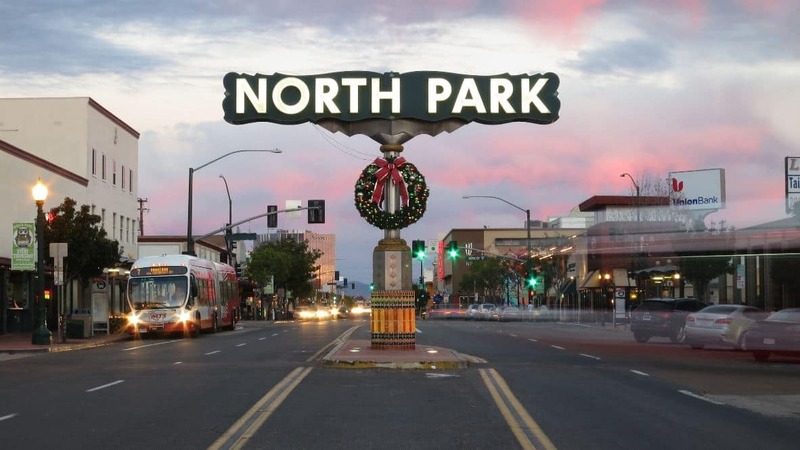 Visit North Park on the second Saturday of every month from 6-10PM to enjoy the Ray at Night Art Walk. North Park features some of the best cheap places to live near San Diego, with a median monthly rent of just $1,222. The neighborhood itself is highly walkable, and the easy access to Interstate 801 makes living here a perfect choice for San Diego young professionals who need to commute to other parts of the city. If that’s not enough to convince you, North Park also ranks well for San Diego neighborhood safety, with lower crime rates than most other areas of the metro area. Want to live in a neighborhood dubbed the “Historic Heart of San Diego”? 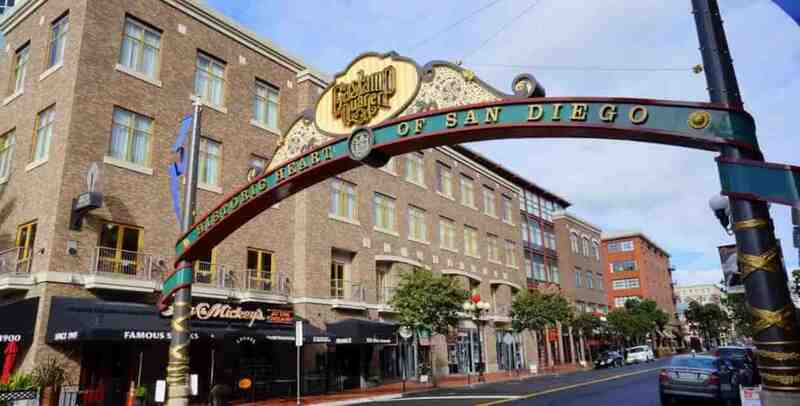 Then the Gaslamp Quarter might be the perfect San Diego neighborhood for you! More than half the residents of the Gaslamp Quarter are between 24-35 years old, bringing a real millennial vibe to the 16 ½ block area in the center of the city. Plus, it’s one of the most affordable choices on our San Diego neighborhood guide, with monthly rents at an average of $400 less per month than districts. If you’re planning to work downtown, and don’t want to worry about your commute, living in the Gaslamp Quarter offers plenty of amazing jobs within walking distance. After work, choose from dozens of the best San Diego places to eat, like the Parq Restaurant. And when the sun goes down, young professionals can experience the Gaslamp Quarter’s thriving nightlife. From the dance parties at the Onyx Nightclub to high-class cocktails at the Prohibition Lounge on Fifth Ave there’s something for everyone. Not only is Hillcrest a fantastic San Diego neighborhood for millennials; it’s also the city’s hub for the LGBTQ+ community! Full of amazing coffee shops, welcoming neighbors and just steps from the San Diego Zoo, this neighborhood is about as close as we get to perfect in sunny SD. Plus, it’s one of the best places to visit in San Diego, especially since Hillcrest hosts the city’s annual Pride Parade (one of the biggest pride celebrations in the United States) every year. Looking at real estate in Hillcrest? If you want to purchase your home, you’ll be paying an average of $630,000, while renters can expect a monthly charge of around $1,595. San Diego millennials in the workplace will also love Hillcrest because of its central location and a short commute to the downtown business district. So, is this the perfect community for you? 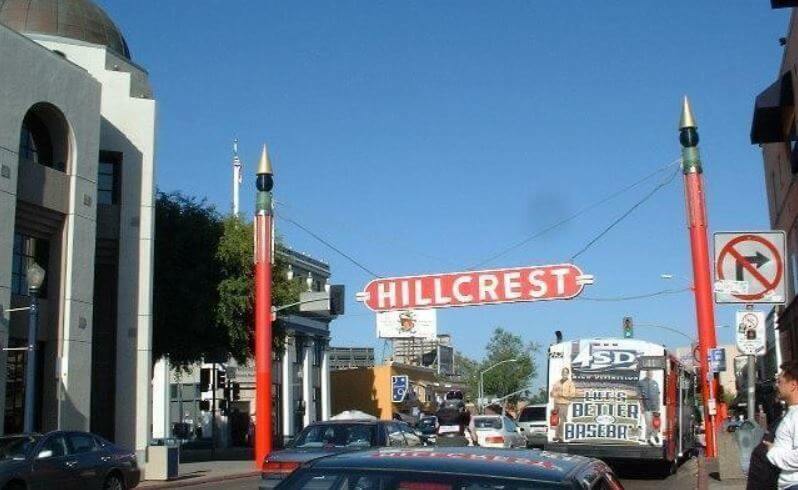 Circle Hillcrest on your San Diego neighborhoods map and visit the area to see it for yourself– you won’t regret it. Maybe you want to work in the city but need an escape from the noise of downtown at the end of the day. If this sounds like you, you might want to consider moving to La Jolla! This coastal neighborhood is still close enough to downtown for an easy commute, but it offers a quiet refuge, not to mention 7 miles of the best beaches in southern California. Known as the “the Jewel” of San Diego, La Jolla is home to more than 30,000 residents. Like Hillcrest, there’s a thriving LGBTQ+ community here, and they even have their own pride celebrations every June. 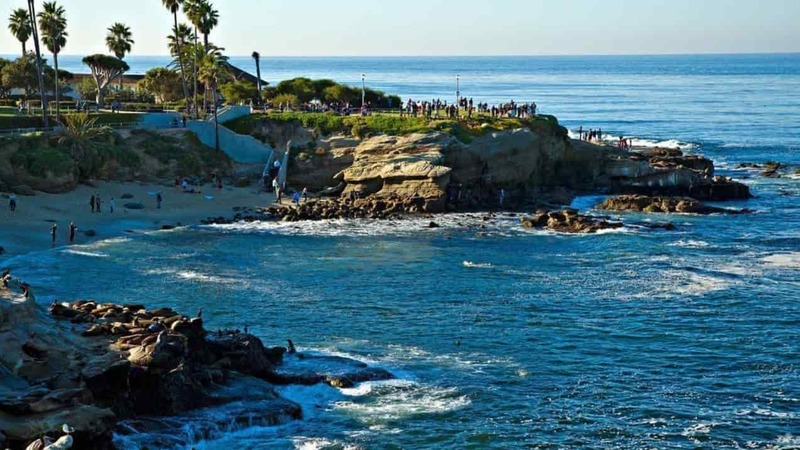 La Jolla is also one of the best places to live in San Diego for families, with a highly educated population, fantastic public schools for kids of all ages, and gorgeous seaside homes. We hope this guide to the best millennial neighborhoods in San Diego has helped you find the perfect west coast community to fit your style! Living in San Diego is an awesome opportunity for young professionals, with affordable housing, incredible companies and stunning shorelines that make all the work worth it. Ready to relocate? Find and compare the best San Diego movers on Move Matcher so you can move with confidence. Want to learn more about the best neighborhoods for millennials in other popular cities? Explore our neighborhood guides to Atlanta, Boston, Denver, and Austin to discover where you should go next.